The base price for boots is $1195. Custom options and exotic leather may add to the price of boots. Customers are able to have any combination of leather and stitch pattern they desire. 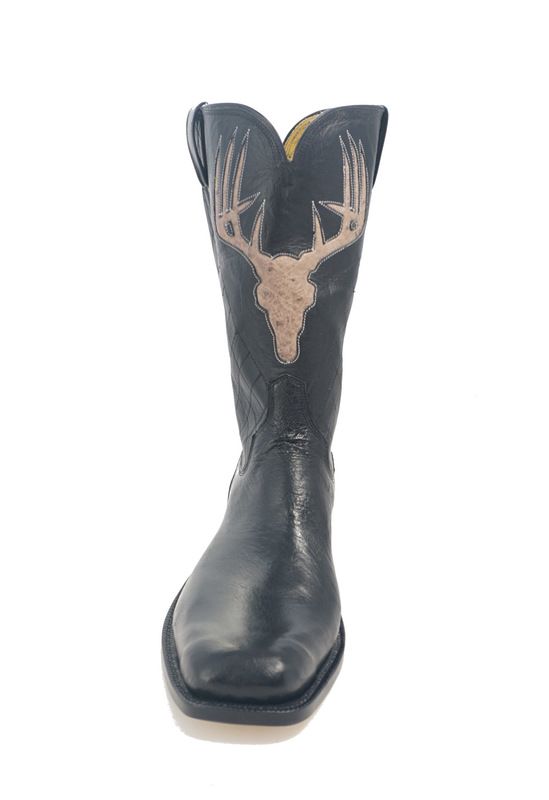 Also, custom inlay work is available to give your boots the personal touch you desire. Here is a sample of boots recently made at Leverett Boots. lack full quill ostrich with pull holes and thick roo border.